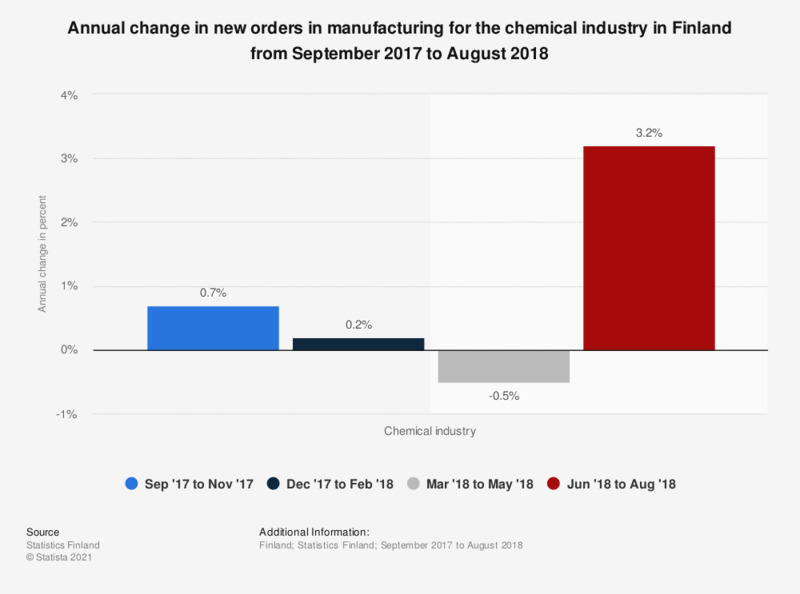 This statistic shows the annual change in new orders in manufacturing for the chemical industry in Finland from September 2017 to August 2018, broken down by three month periods. During the period from June to August 2018, new orders for the chemical industry grew year-on-year by 3.2 percent. According to the source, the figures represent the annual change in new orders in manufacturing for the mentioned time period to the corresponding time period twelve months back.